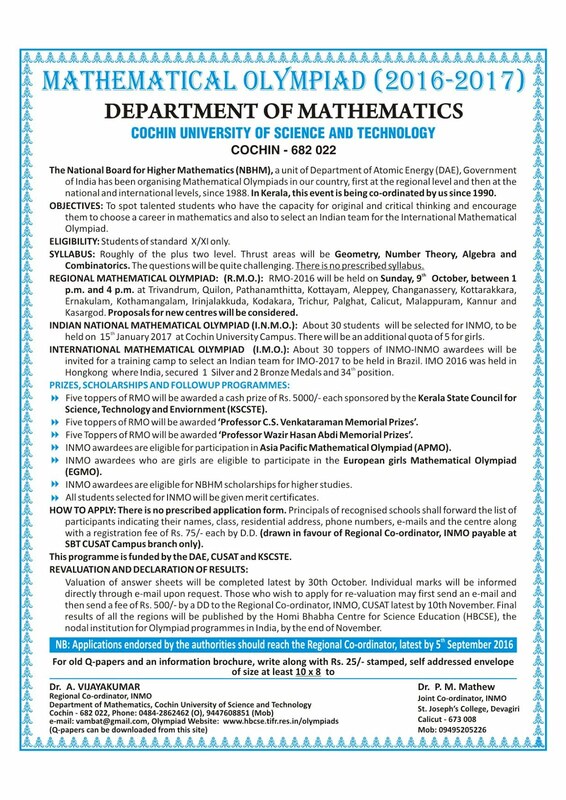 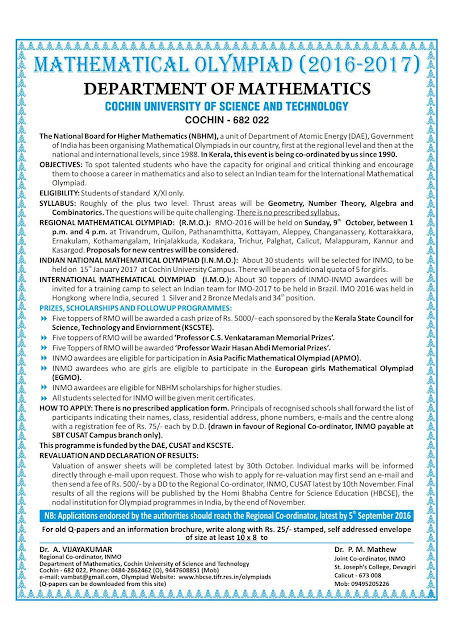 The Department of Mathematics, Saurashtra University, Rajkot – 360005 (Gujarat) is organizing a National Conference on Algebra, Analysis and Graph Theory (NCAAG – 2017) during 09th to 11th February, 2017 to celebrate Golden Jubilee Year of establishment of the university. 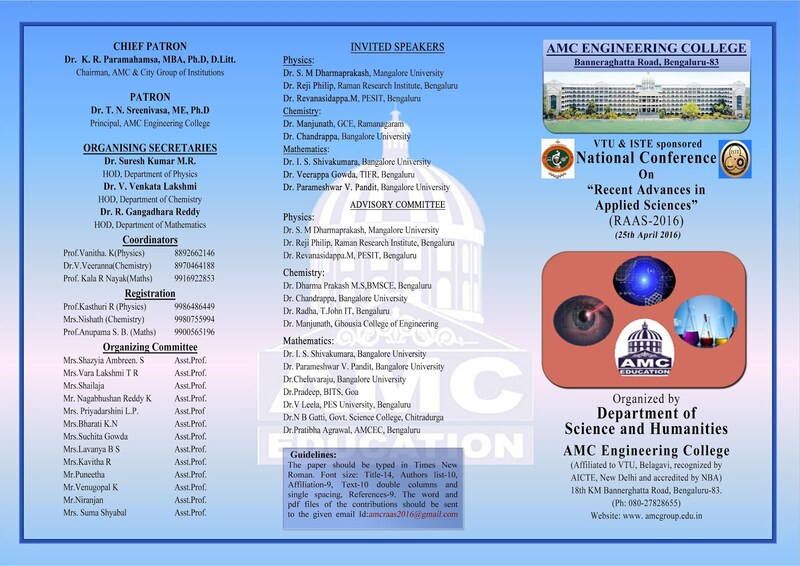 The prominent speakers from all three areas will be invited. 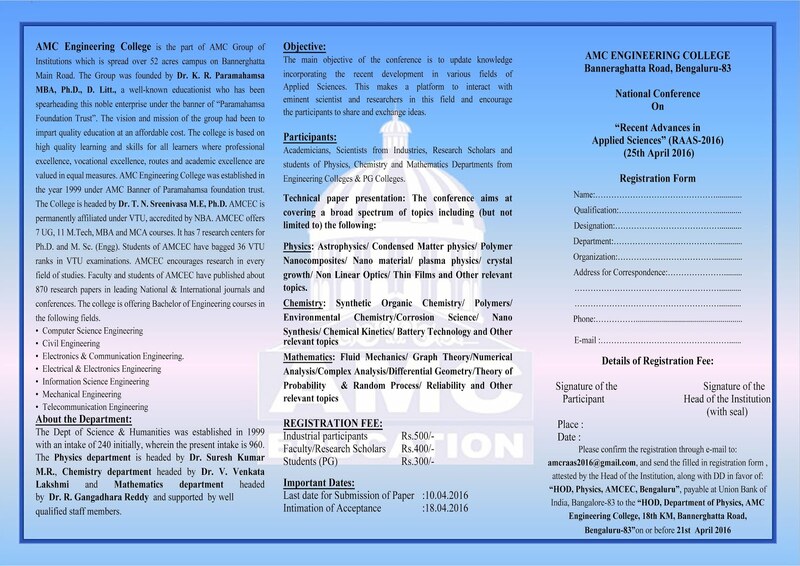 Faculty members, Research scholars, students from educational institutions and Delegates from industry are requested to participate and present papers. 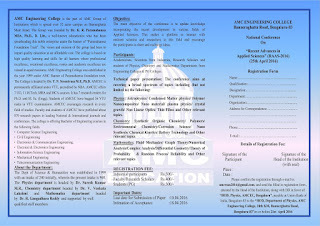 The brochure of the conference and registration form is enclosed herewith. 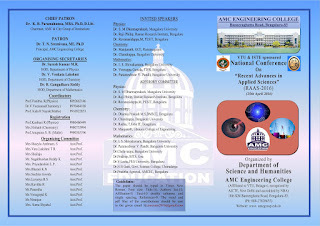 I request you to provide wide publicity of the conference by circulating the brochure in your institution.